ELDERBORN is described as a game that does not hold your hand. This is a good thing, seeing how… well, it’s all but glued to your weapon! But seriously, we could do with more melee-centric no-nonsense, so hopefully this slashy adventure will prove more than a little entertaining. The prospect of stepping into the shoes of a mighty warrior to demolish a dungeon overflowing with corruption and evil is certainly enticing. 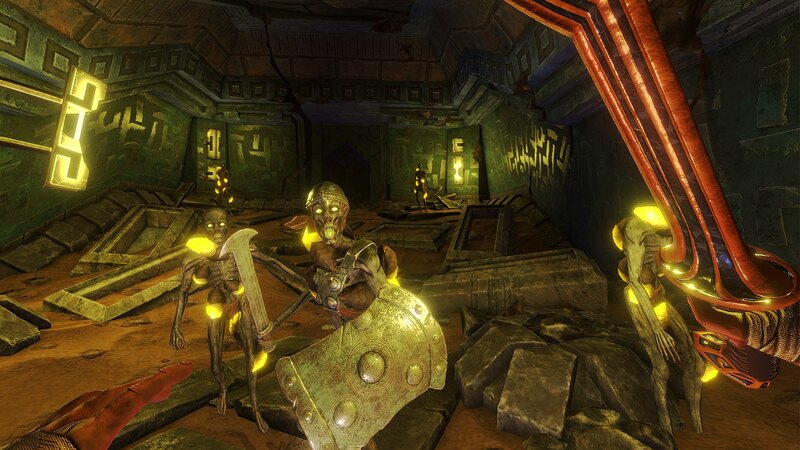 Nothing but death awaits here, or rather, undead (with the odd demon thrown in for good measure), as it seems you’ll be facing the hordes of hell in “heavy metal melee combat”. Music in the trailer below certainly emphasizes both parts of that, seriously rockin’ tunes and plenty slicing portrayed. Bet ya we can kiss checkpoints and regenerating health goodbye too, but eh, who needs such modern luxuries anyway, when you’ve got a huge weapon? Poor bastards won’t know what hit ’em. No procedurally generated layouts either, every last trap and enemy carefully placed in the most devious positions, ready for you to send them over the edge with a well-placed kick. You know, for when you’re in such a hurry that you simply can’t be bothered to bash enemies to tiny bits instead. Fun stuff. Fun and… hopefully challenging, too. One thing to keep in mind amidst all this is that ELDERBORN is currently in Early Access, and that won’t change until May/June 2019, at the earliest, according to this here roadmap. Said roadmap is also the place to go for details on what’s coming and when, in case you decide to delve into its dephs right now… and feel something’s missing. Because Early Access is, as always, early. That said, the current build “can be fully completed from the beginning until the end, does not contain any critical bugs related to gameplay, audio or visual assets”. ELDERBORN [Early Access (until May/June 2019)] is available on Steam, carying a $19.99 price tag. Elderborn is now available on Steam Early Access!